Harpers Heating & Plumbing Ltd - Central Heating Engineer, Plumber based in Farnham, Essex. 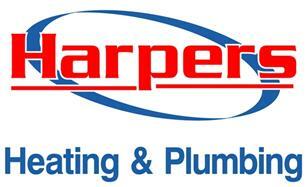 Harpers Heating & Plumbing Ltd have been in business for over 25 years. We are one of the most highly recommended plumbing, heating gas and oil companies within the Bishop's Stortford, North Essex and East Hertfordshire area. Our permanent workforce are highly skilled Gas Safe and Oftec registered tradesman. At Harpers Heating & Plumbing we pride ourselves on completing projects within budgets and timescales quoted to our clients. At present our company works closely with domestic customers, local authorities, schools, building surveyors and architects as well as local and major building companies and we welcome calls from people within these fields. We carry out work on a domestic and industrial level for insurance companies. We are members of 'Construction Line' the UK's largest register for pre-qualified contractors and consultants, and also the Contractors Health and Safety Assessment Scheme (CHAS). Harpers Heating & Plumbing take all major credit and debit cards so payment settlements can be made easily.